A few things are better kept in their original form and one of those is the places where meetings are held. Many meetings take place at coffee shops or restaurants. However, they do not necessarily provide an appropriate environment for business discussions. Not having an office space is a constraint; client being far away from your office is another. However, a professional ambience is a vital constituent to successful meetings. Even when you travel to other cities, meeting at a popular coffee shop is never a good idea. The solution – book meeting rooms on the go! Here are some factors that reflect how choosing meeting rooms over coffee shops puts you at an absolute advantage. IoT in business centres has brought a defining change in the way businesses function. From streamlining routine tasks & increasing workplace productivity to making workplaces safer, IoT is creating workplaces of the future. For the uninitiated, it is defined by an intelligent ecosystem of connected devices, integrated & functioning together to streamline operations and foster efficiency. Relocating a business is a tough decision to make. There are a number of questions that come in its way – will relocation help achieving your goals or improve your brand image? Are your employees ready to shift? Will it be beneficial in the long-run? However, post a certain point of time, it is essential to analyze the pros and cons of staying at an office space where you begun. There are possibilities that it is relatively less conducive for your business growth or there are better office spaces where it can flourish. So, what determines that you need to relocate? Let’s discuss the top four reasons in detail. Your employees follow a culture that does not necessarily contribute to their performance at work. You follow a shared office culture where your business privacy is also compromised. The shallow walls that separate businesses in your shared workspace can neither protect your business information nor your employees from getting poached. The engagement activities and collaboration opportunities you chose your workspace for, now seem too overwhelming. Thus, it is better to get your business relocated to a new serviced office that supports a productive culture, doesn’t compromise on business privacy and provides some meaningful engagement activities. Shared office spaces have witnessed global expansion in the recent years. With immense growth of serviced offices & co-working spaces, it is no longer considered a subsector but a fundamental core of commercial real estate. In India, this market is consistently growing because of several viable reasons. 1. Startup India Initiative – Began in 2015 with the objective of promoting India as a start-up hub across the world, this Indian Government initiative has incentivized start-ups in numerous ways. The low-interest rate loans to entrepreneurs, funding support and incentives are some of the key drivers that led to a wave of entrepreneurship in India. The initiative has begotten several small & mid-sized businesses that work out of shared offices due to no huge upfront investments, flexible rentals, and lower OPEX. Flexible office spaces are more than just a fad. There is a special string of benefits tied to them, enterprises must recognize in time. They need to ditch the belief that a rented office space will mar their brand reputation. 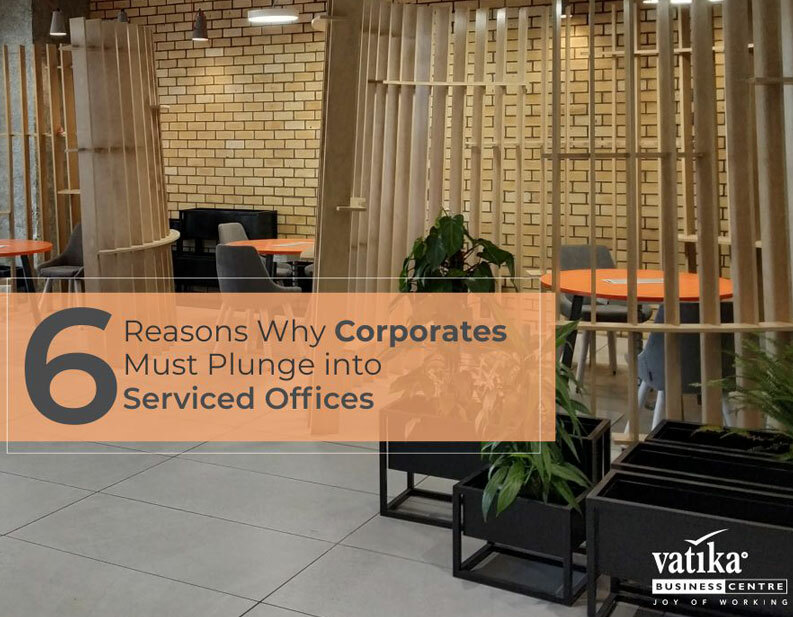 Instead, they must acknowledge the fact that no matter the size of a business, serviced offices can save them a lot of money and effort. Leasing a workspace & getting it settled takes a huge capital investment and time. 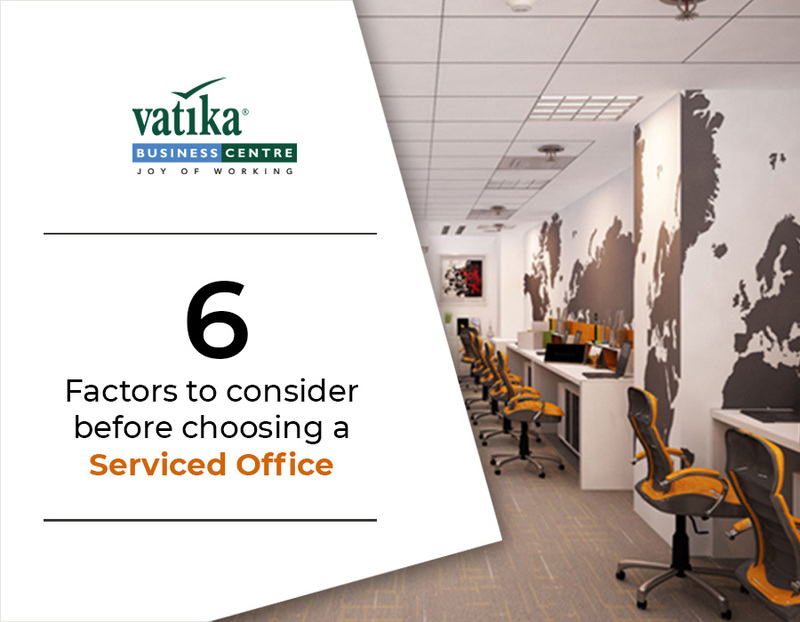 However, a serviced office at Vatika Business Centre (VBC) brings all of it together without any hassle at comparatively lower costs. Okaya Centre, Noida is a place that has a Vastu compliant architecture and also is a chief location for corporates. Thus, placing itself productively Vatika Business Centre, has its premium professional services to provide you. The business is supported by Integrated Business Management System (IBMS) and Energy Management System (EMS). This business centre is working at its best to facilitate the best as required by any large or small enterprise to evolve professionally. You might be pondering too much over finalizing your office location and might be apprehensive of getting it professionally designed. What if Vatika breaks this news to you that they can be your next office address? What if a good IT team turns up to you and affirms that they are happy to assist you 24*7? What if all your registration, taxation and legalities are taken care of by somebody discreet and trustworthy? Yes, we exist and so we at Vatika Business Centre guarantee you all business solutions under one umbrella. 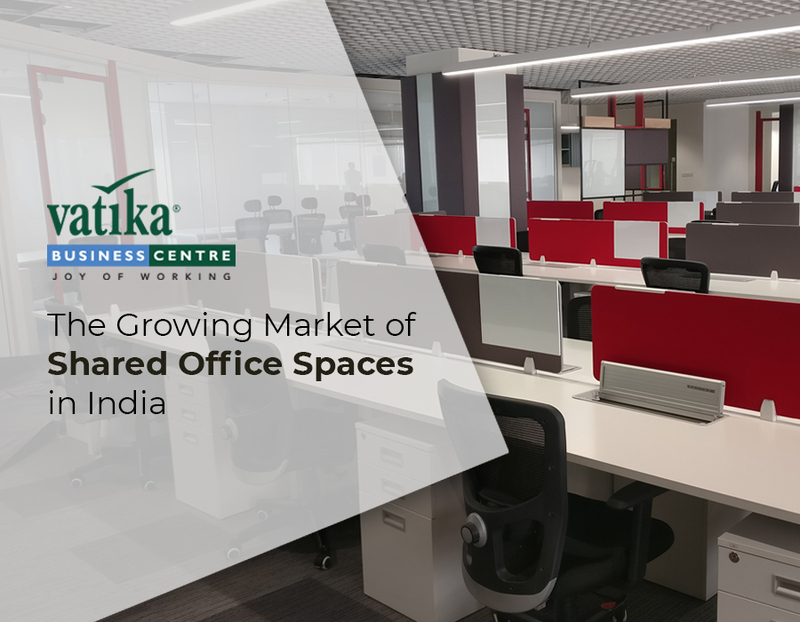 Vatika business centres bring you first-rate designed offices with all the business support services included in the package. We at Vatika do not want to you waste any of your precious time in futile searching and hopping here and there in hunt of a good place to work, rather we here welcome you resume to resume your work from our office address. The business centres are all set and ready to take away every burden off your shoulders related to recruitment, selection, reception services etc. 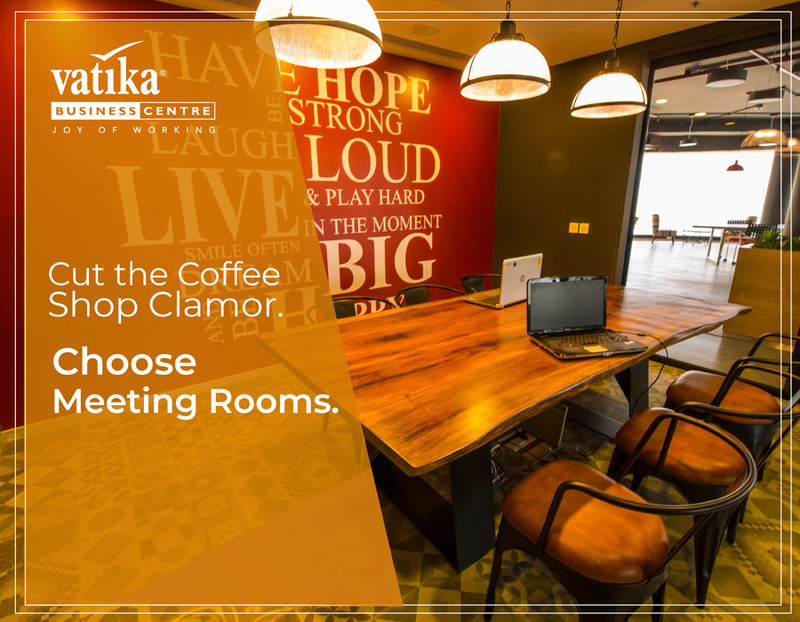 All Vatika can promise you, is a clutter-free work environment at this prime address. Vatika is just a call away and you can know the prices, the detail of the services and can even have a virtual tour of the office sitting on your comfortable couch at home. 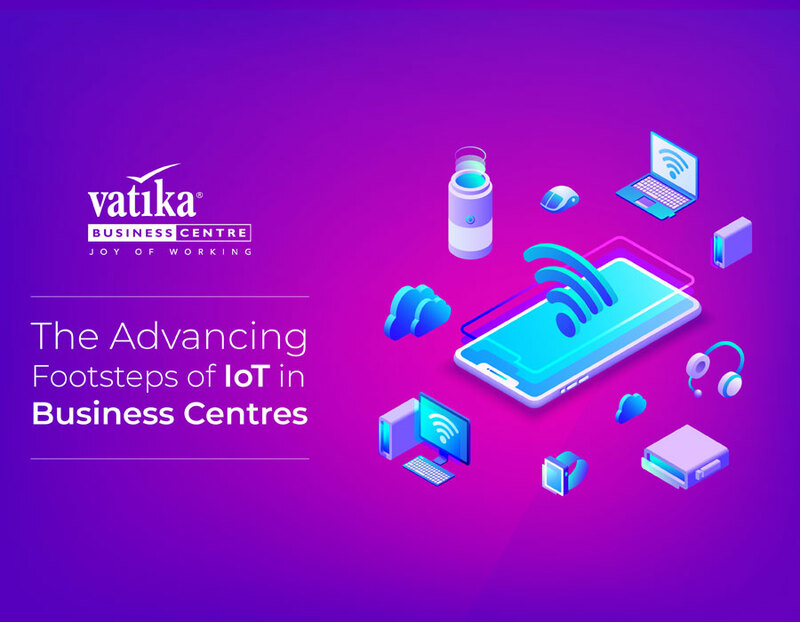 Vatika business centres always have strived to prove their métier and quality by binding their clients in an indispensible bond of growth and development in this territory of corporates. It is true that not every company would have the budget in place to setup an office space. Companies cannot always start building an office space from the scratch & invest money, time into it. For such companies,co-working spaces make sense. However, there are various misconceptions attached to them. The most prominent one is the notion that they are only good for startups or freelancers. But, that’s not true. If you are looking for an office space in Gurgaon, here’s something you should definitely not miss. There is a special element in an office space that looks cool. Isn’t it? Aesthetically sound office spaces have a direct impact on the way employees work. Factors such as structured seating arrangement, plush interiors, spacious desks, classy furniture, and more endow a sense of workplace satisfaction that invokes creativity & productivity. In contrast, small cubicles and cluttered desks invite dissatisfaction. And probably that reflects through mediocre employee performances. There is a lot of abstract value attached to office spaces as employees love walking into visually pleasing workplaces. After all, they have to spend a big chunk of their day at workplace. 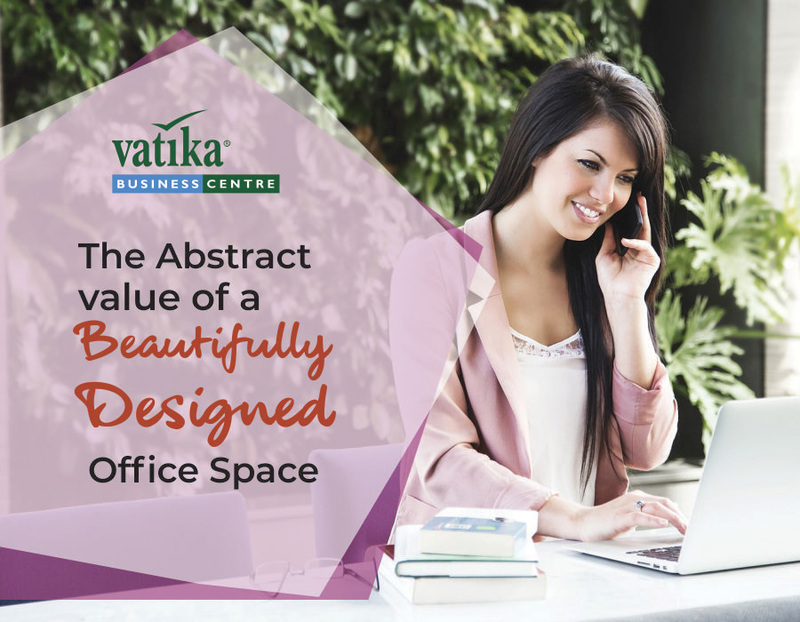 Office spaces at Vatika Business Center (VBC) ensure to meet the standards of modern architecture and carry all the desired factors of beauty. Conceptualizing productivity & employee satisfaction, our office spaces are designed to make them feel the joy of working. Our office space in Bengaluru is the perfect prototype of a modern workplace; employees would feel lucky working at. And that’s not where the story ends. Located at Cessna Business Park (part of a large tech park), it is a premium office space having all the amenities. Equipped with meeting rooms and HD conferencing rooms, it is located at a place which is a hub of many corporates and IT giants such as IBM, Intel, Accenture, and Cisco. If you are looking for an office space in Bengaluru, VBC gives you the opportunity to establish your business around biggies. As a matter of fact, our office space in Bengaluru is spread over an area of 17,000 sq. ft. and is home to 200 workstations. Sounds good so far? Let’s make it sound even better. We offer coworking spaces there with the flexibility to rent them for hours, days, and months. It can make things work for budding entrepreneurs having limited budgets. That’s a great deal, chaps! If you envision a workplace that exudes out of the box ideas, you definitely need to take care of the subtle elements – those that are closely tied with an abstract need of having beauty around. VBC in Bengaluru puts all these elements together in office spaces that are ready to move in. So, get in touch with us to book your office space today.